The following is a text from kommersant.ru, translated by The Russian Reader. European Court of Human Rights (ECHR) in Strasbourg. 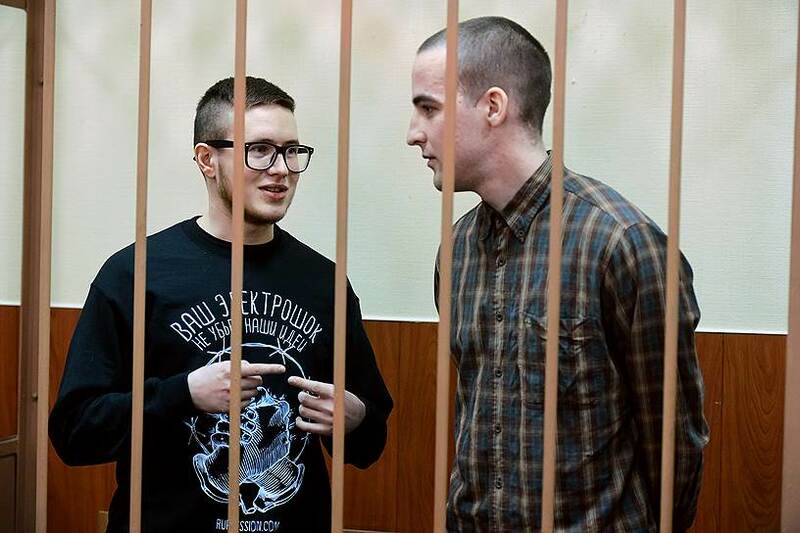 Spread the word about the Network Case aka the Penza-Petersburg “terrorism” case. You can find more information about the case and in-depth articles translated into English on this website, rupression.com, and openDemocracyRussia. If you know someone who is a print, internet, TV or radio journalist, encourage them to write an article or broadcast a report about the case. Write to rupression@protonmail.com or the email listed on this website, and we will be happy to arrange interviews and provide additional information. It is extremely important this case break into the mainstream media both in Russia and abroad. Despite their apparent brashness, the FSB and their ilk do not like publicity. The more publicity the case receives, the safer our comrades will be in remand prison from violence at the hands of prison stooges and torture at the hands of the FSB, and the more likely the Russian authorities will be to drop the case altogether or release the defendants for time served if the case ever does go to trial. Why? Because the case is a complete frame-up, based on testimony obtained under torture and mental duress. When the complaints filed by the accused reach the European Court of Human Rights in Strasbourg and are examined by actual judges, the Russian government will again be forced to pay heavy fines for its cruel mockery of justice.